Whether it’s your first home or your sixth, the process of finding the right property at a fair price can seem daunting. The housing bubble fiasco is still in recent memory, and it’s not unusual at all for buyers to be apprehensive. Here are four tips for slashing costs associated with home buying. 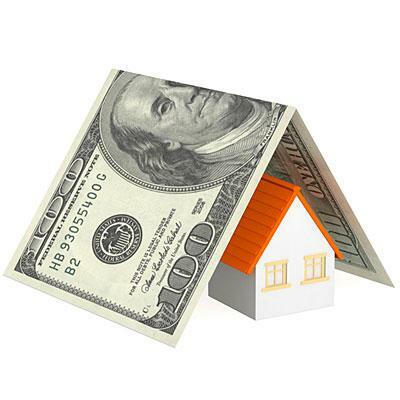 Local and state agencies have plenty of programs that offer down payment assistance. Many people sell themselves short by assuming you need to be low-income or a first-time buyer to qualify for help, but many programs’ restrictions are not that narrow. Programs include outright grants, interest-free loans and deferred repayment loans, among many others. Many banks such as BB&T offer many programs and loans you may qualify for as well. Do some research and see if you can take a bite out of your down payment. Take the time to find one of the best real estate agents for your needs. Not every agent is going to be a pro at ferreting out the best deals in the exact type of property you’re looking for. For example, a NYC real estate agent who deals with starter apartments in the Bronx is likely not the right person to ask about high-end condos in Manhattan. The same is true if you are looking to move into a city that is going through a transition. For example, Charleston, South Carolina lost its military base in 1996 and is still going through a revitalization. Real estate agents in Charleston need to know what areas of town are best for your needs. Sometimes, the best house for you is the one you almost didn’t go see. Don’t be afraid of open floor plans or houses with unusual elements. Consider properties for what they could be, rather than what they are right now. Think about how walls could easily be added or removed, how dens can become bedrooms and how that home gym could become your office. Don’t get dragged down by what the previous owner has done, think about what you can do with it. Thinking outside the box in this way can save you a ton of cash, so use your imagination! You are not required to pay the price on the tag. If you find a place you’d love but it needs landscaping, a new roof or all new plumbing, lop off the cost of the work it needs and make an offer. The worst case scenario is a counter-offer or outright refusal. You can always offer again, if you want, or move on to the next property. Don’t pay the asking price unless you think it’s fair. Buying a house can be a stressful experience. By getting the help you need, you’re one step closer to finding the right place. Negotiating and using your imagination to see how space could be used can also save you a lot of cash. Don’t rush through any step of the buying process. You’ll be glad you took your time.